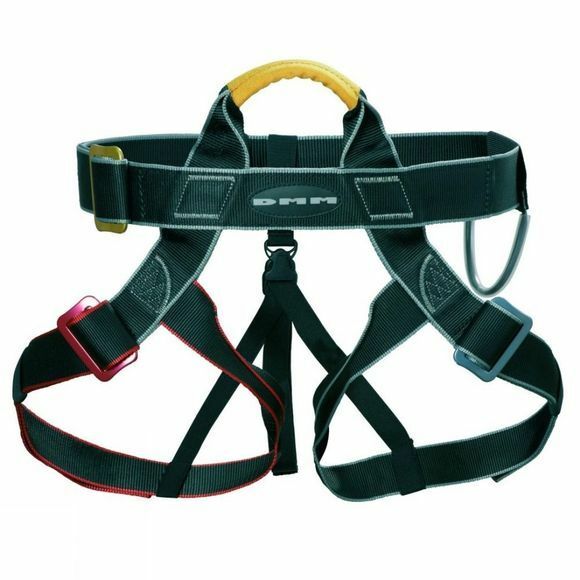 The DMM Alpine Centre Harness is a fully adjustable 'all-season' harness manufactured from 44mm high tenacity, abrasion and UV resistant flat webbing. It was originally conceived to meet the demands of winter mountaineering, however, with its uncomplicated design features it is particularly well suited to group activities and centres. With a simple robust design with thread back buckles and a high central tie-in point it is easy to use and offers less chance of inversion should the wearer take a fall.